Communicating the project objectives, progress and results took place over the four years of the project. National and regional newspapers, radio, newsletters and magazines were used extensively. 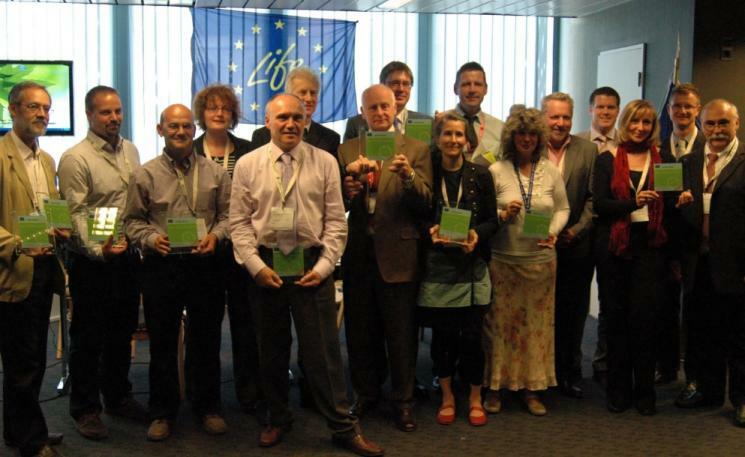 The project featured at national and international forestry and biodiversity events. This website, the project DVD and the project brochure have been very useful tools in circulating information and in getting the message across to our audience and raising public awareness. 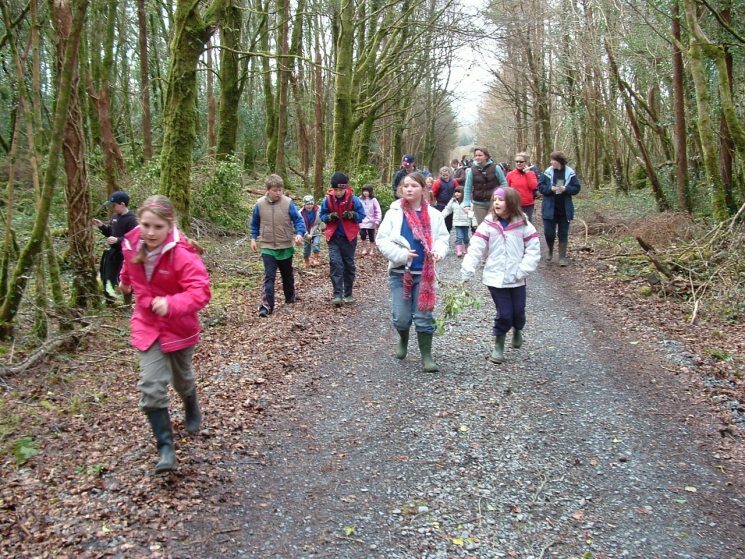 The media campaign included numerous organised woodland walks, field days and educational training days. Consultations, information meetings and direct communication with stakeholders was another important aspect of the project. This exciting woodland restoration project was enthusiastically received at many levels and successful results on the ground have been recognised by international awards. 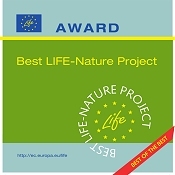 This woodland restoration project has received an Award from the Member States of the European Union for being among the top 6 “Best of Best” LIFE Nature projects assessed in 2010. 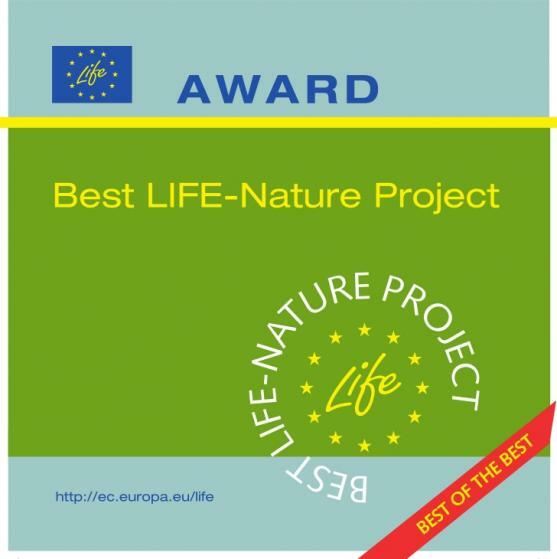 Four of the other award winning projects dealt with nature conservation in Germany, Portugal, Spain and the UK and Coillte is pleased to note that the fifth project is the BurrenLIFE – Farming For Conservation – project in County Clare. For one of the smaller Member States to get two projects into the top 6 in one year is a fantastic achievement and a high level international recognition of the quality of environmental projects being implemented in Ireland. The Energy Globe Award is the world’s most prominent Environmental Awards given to projects that conserve and protect natural resources. 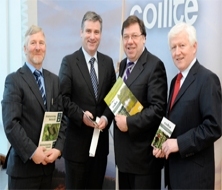 Coillte were delighted to accept this Award in 2010 coinciding with the International Year of Biodiversity. 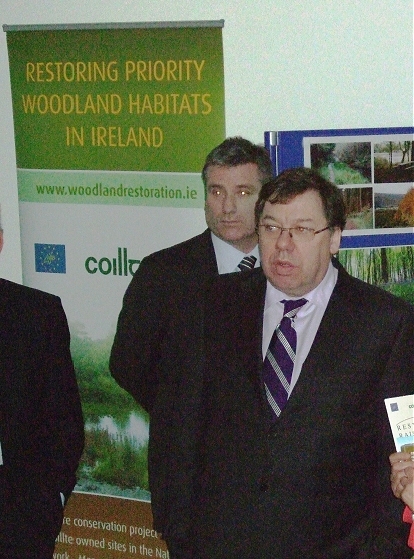 Mary Wallace, Minister of State with special responsibility for forestry officially launched the woodland restoration project in 2007. The successful launch took place at the yew woodland demonstration site no. 6, Cahir Park, Co Tipperary. The launch was attended by dignitaries, representatives of public bodies, project team members, Coillte staff, neighbours and stakeholders. 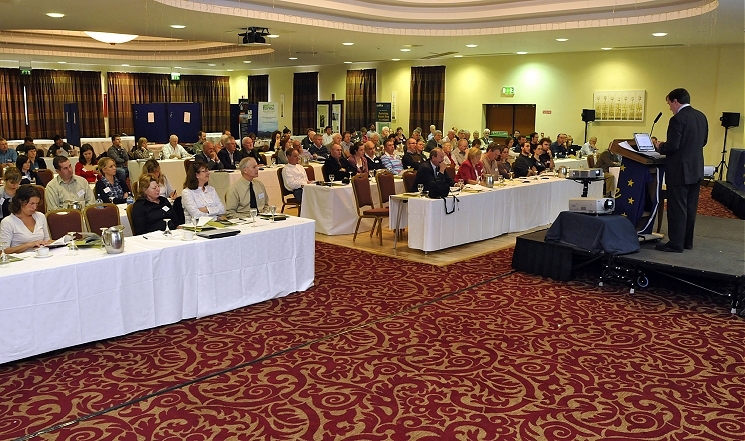 In October 2009, a conference took place in Claremorris County Mayo where project results were shared with a wide audience. Contributions were made by national environmental groups and the project team. A field visit to the nearby Clonbur woodland was very well attended. resentations, papers and information associated with the conference can be downloaded. In addition to the publications material produced by the project which is available to download, promotional articles were included in field magazines, national regional and local newspapers and local newsletters. 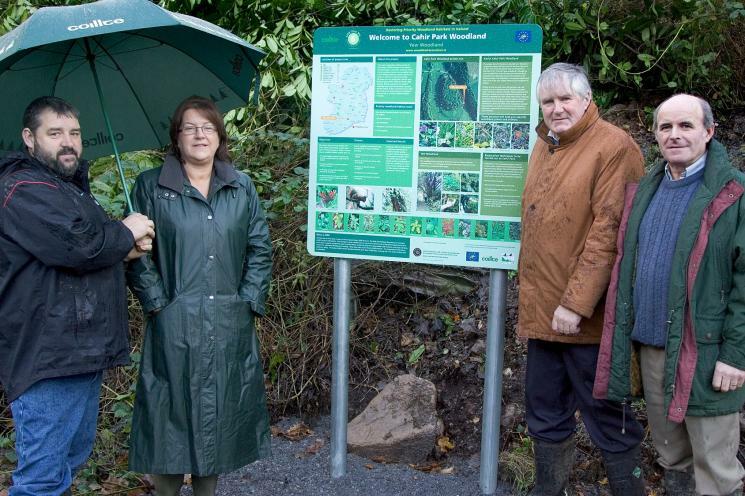 For example, Crann magazine featured a four part series detailing the four priority woodland habitat types restored and a final review of the lessons learnt during the project. Consultation has been a very important part of this project. Open days were held to inform the public and other interested groups about the restoration works. These often included follow-up events and site visits. Restoration works were often modified to include the outcomes of these consultations. This website has developed over the four years of the project. Positive feedback has been received about the role the website has played in sharing information about woodland restoration in Ireland. At each woodland entrance, large interpretative signs are now in place. The signs give general information on the restoration works and detailed pictures of the woodland habitats, flora and fauna for that site. Numerous woodland walks took place at the LIFE sites. These were well attended and allowed the participants to see results of the restoration techniques close up. 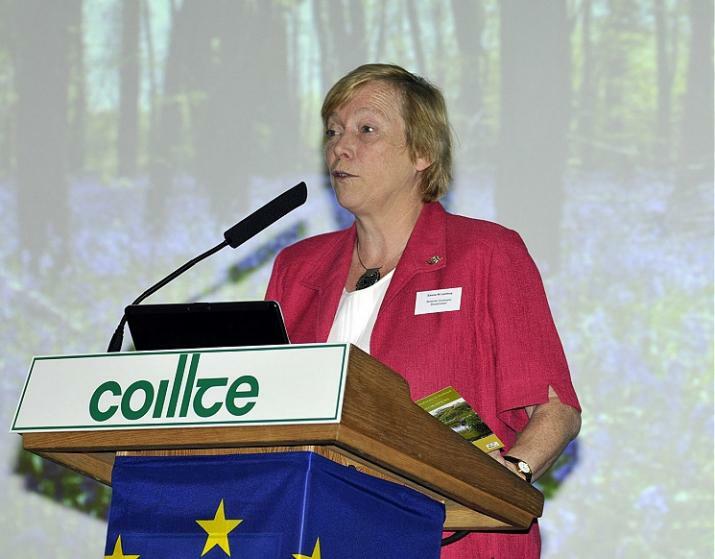 ‘Learn About Trees’ from the Coillte website provided some background information reflecting the current Irish school curriculum. 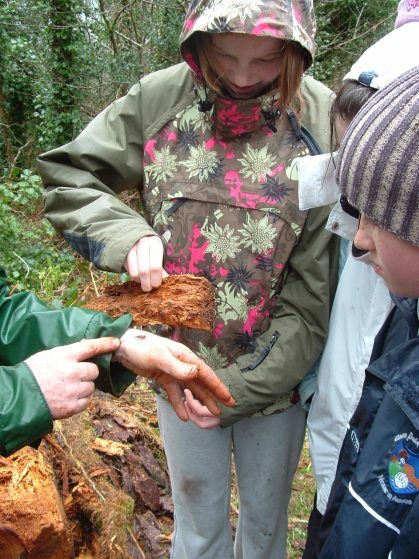 Students from nearby local schools visited the woodland sites as part of the Green Schools programme. As awareness of the project actions increased, demand for field days rose and groups from Ireland, UK and across the EU, visited some of the project sites to see first hand the results of woodland restoration.